← Why rent an apartment in Barcelona? 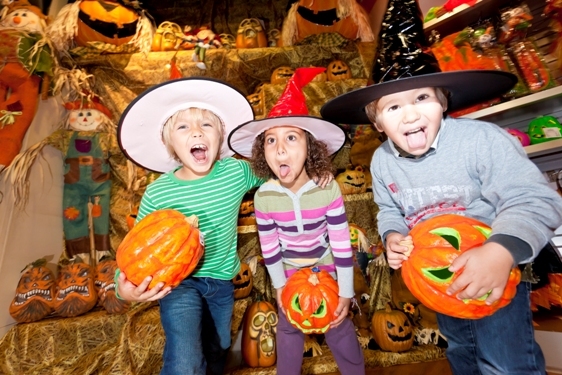 Whether you are a fright fanatic or a curious visitor, attending Halloween at PortAventura is a must for those visiting Barcelona this Autumn. 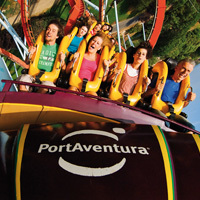 PortAventura is Spain’s biggest and most well-known theme park. Located in the popular holiday resort of Salou on the Costa Dorada, it is just a one hour train ride from Barcelona making it a fun day trip for the whole family. 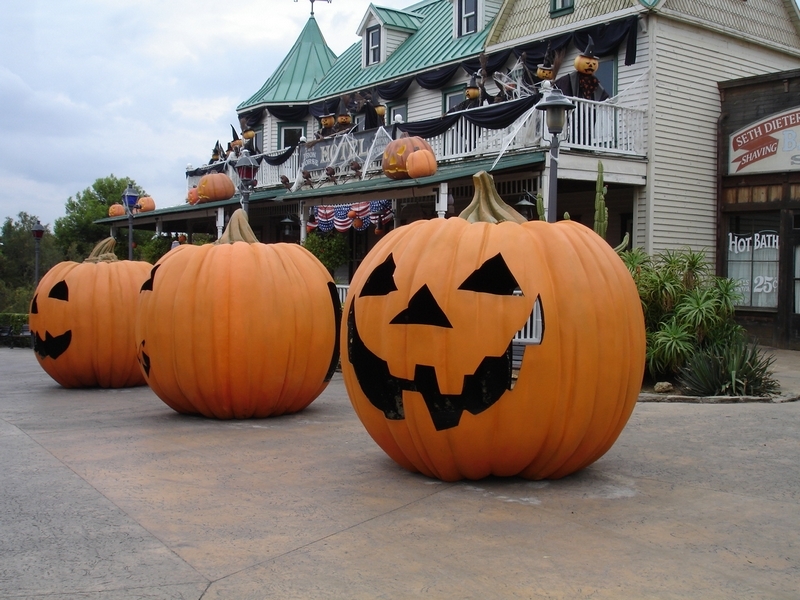 Halloween is one of the biggest events for the park, drawing in both locals and tourists from all over the world. 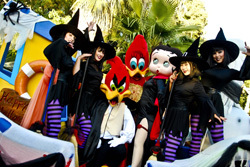 From September 24th to November 20th 2011, PortAventura is completely transformed into Halloween décor, with pumpkins lining the streets, characters dressed in their favorite Halloween costumes, and numerous shows and attractions taking place across the park. This is a great time to visit because it is less crowded than in the summer time, yet just as lively. 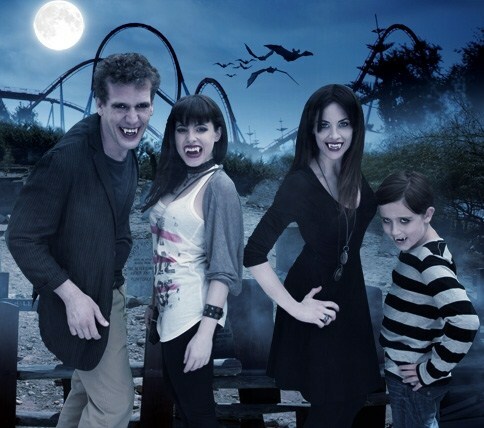 But don´t worry if you can´t face anything extra scary this Halloween – the park still runs its usual rides, shows and restaurants throughout its five theme zones during this spooky period. This year´s Halloween season is introducing 8 new shows to the lineup. The most recommended is called ¨Mystery 2¨, in which dancers and acrobats entertain the crowd in a gothic setting, of course flaunting special and outrageous Halloween attire. There is also a Halloween parade each night, which includes familiar characters such as the Addams Family, Frankenstein and Beetlejuice. The great thing about PortAventura is that it is fun and appropriate for all ages and this year it is dividing the Halloween festivities into two different areas. For those prepared for all the terror that PortAventura has to offer, visit the Far West and Mexico sections. Of course, you must show respect to the ghouls, ghosts, and vampires flooding the streets or you will pay the price. For a more child-friendly feel, visit Mediterrania and SésamoAventura. These parts are much less frightening, and the kids will enjoy seeing their favorite friendly characters dressed in some Halloween get-up. As far as entertainment goes, there are many fun activities you won´t want to miss. The most recommended is ¨La Mina del Diablo¨, otherwise known as ¨the mine of the devil.¨ It is said that miners were buried at this abandoned shaft and if you listen carefully you can hear their voices outside while watching the ground tremble. For the little ones, there are puppet shows each day that tell the story of Halloween. And you can´t forget about the best part about this time of year: candy. Have no fear, come nighttime, all of the houses in the park will be open and ready for some good, old-fashioned trick or treating. Don´t miss out on one of Spain’s most anticipated attractions! Rates for PortAventura can range from 44 Euros per day for one adult ticket, to 69 Euros for 2 days, excluding the Halloween specials. For more information on prices, itineraries and how to get there visit PortAventura´s official website. Whether you are heading to Halloween at PortAventura for the day or simply planning to spend some time in the beautiful region of Costa Dorada, you can find some great deals online on Barcelona apartments and accommodation on the ´Golden Coast´ itself. From Costa Dorada apartments to beach apartments in Barcelona, there are over 500 rentals to choose from, so you are sure to find the perfect accommodation for this magical event! This entry was posted in Activities, Events and tagged autumn in barcelona, barcelona apartments, barcelona day trips, barcelona events, costa dorada barcelona, PortAventura. Bookmark the permalink.